You would like Red Blue Site's Assistance? would like a non obligation consultation? Fill this simple form and we will get back you as soon as possible. Furniture Repair Brooklyn – Your Furniture Specialist! At the core of every business there is passion and real expertise. At Furniture Repair Brooklyn we provide the perfect mix of both these ingredients. We can help you design or redesign your furniture, repair or restore it, protect it and change it with reupholster if necessary. We can do all these with real talent, expertise and you don’t even have to pay a premium price! Contact us now and let’s speak about what you need. 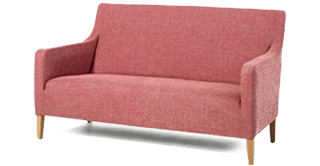 We can advise you about anything related to furniture and fabric. You’re not sure if you’re furniture can be restored or repaired? Come to us or drop us an email and we’ll tell you what will be the best solution for you. We offer great services, on time and on budget! Get Your In Home Consultation Now!